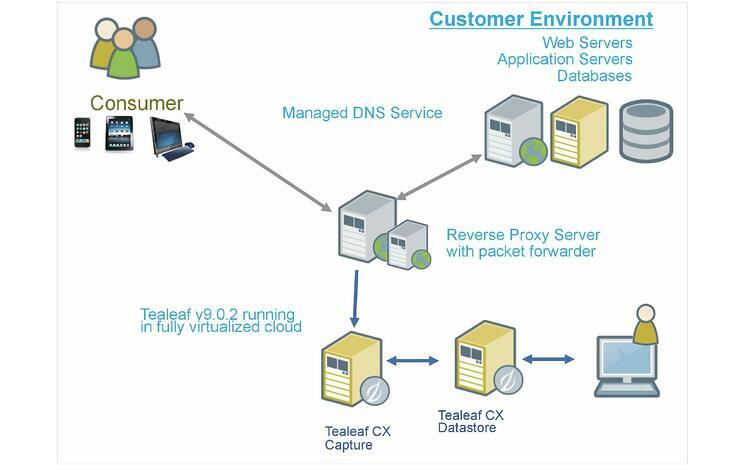 An exclusive Pereion Solutions offering, IBM Tealeaf CX is hosted in a virtualized cloud environment, so that you can rapidly deploy and quickly take advantage of Tealeaf’s unique industry leading customer experience management capabilities. This is a perfect solution for midmarket companies or business units within a larger enterprise looking to avoid a large customized Tealeaf deployment with a lengthy implementation cycle. This is a full function deployment of IBM Tealeaf, so you are not compromising on functionality and can select the modules you need. 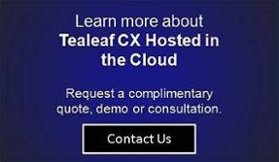 By standardizing the Tealeaf deployment in the cloud we are able to reduce complexity and accelerate the time to value while taking advantage of Tealeaf CX’s robust customer analytics. The solution is enabled by creating a reverse proxy on the front end of the IBM Tealeaf environment, so that the web and mobile traffic can be passively captured by Tealeaf. This reverse proxy is implemented with Managed DNS service and a failover capability to maintain the highest possible degree of internet network resiliency. The mirrored network traffic is forwarded to the Tealeaf capture server which is hosted on a virtualized Linux server in a cloud environment. This solution takes advantage of the cloud features made available in the latest versions of IBM Tealeaf. The Tealeaf CX application and database is hosted in the same cloud environment running on a virtualized Microsoft Windows Server and an SQL database. By maintaining a fully virtualized and standardized Tealeaf network environment we are able to rapidly create and deploy new Tealeaf instances for clients reducing the time and cost to implement Tealeaf.